Key Difference: Both the iPhone 6 and Sony Xperia Z2 are the latest iteration of the flagship phones from Apple and Sony, respectively. The Xperia Z2 is dust and water resistant. It has an IP58 rating, which meant that it can be submerged into 3.3 feet of water for up to 30 minutes. There are many smartphones available in the market today, and companies are coming out with new phones almost on a daily basis. Two of the leading OEMs today are Apple and Sony, both of which are known as manufactures of smart and stylish phones. 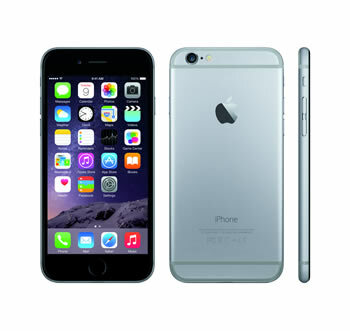 Apple is renowned for its line of smartphones called the iPhones. Sony, on the other hand, has done quite well with its Xperia line. In 2014, Apple came out with the sixth generation iteration of iPhone. The iPhone 6 differs in one significant manner with the previous iPhones; it has a 4.7 inch screen as compared to the 4 inch screens of the previous generations. Fans of the company were happy with the 4 inch screens and had even criticized other manufactures for coming out larger screens. The Xperia Z2 features a 5.2 inch screen which is more in line with other smartphones these days. Additionally, the Z2 features a Full HD screen (1080 x 1920 pixels) with a 424 ppi pixel density, while the iPhone 6 has a resolution of 1334 x 750 pixels and a 326 ppi density. Both screens are made out of shatter proof glass, however iPhones are infamous for their cracked screens. In terms of hardware, the iPhone 6 features a second-generation, 64-bit, 20 nanometre architecture A8 chipset, which would result in 20% faster performance and 50% faster graphics performance as compared to the iPhone 5S. It also has the M8 motion co-processor, which like the M7 is primarily aimed at fitness applications and can now distinguish between running, cycling and elevation. It also has a PowerVR GX6650 GPU and 1 GB of RAM. It also features a Dual-core 1.4 GHz Cyclone CPU. The Xperia Z2 features the Qualcomm Snapdragon 801, which is quite popular these days among manufactures. It is paired with a Quad-core 2.3 GHz Krait 400 CPU, Adreno 330 GPU and 3 GB of RAM. A major difference between the two is the OS that they run on. The iPhone runs on the latest version of Apple’s proprietary operating system, the iOS 8. 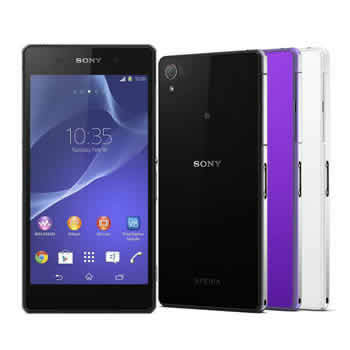 The Xperia Z2, on the other hand, is an Android phone and runs on Google’s Android OS, v4.4.2 (KitKat). The iPhone is available in three storage variants, the 16 GB, 64 GB and 128 GB. The Xperia Z2 only comes in one storage variant, the 16 GB. However, it has the option of expandable storage of up to 128 GB via microSD. The iPhone 6 has an all new 8MP iSight sensor with an f/2.2 aperture, 1080p video, digital stabilizations, and true tone flash. The front camera is a 1.2 MP, 720p camera with face detection, for Facetime. The Xperia Z2 has a 20.7 MP camera that allows one to take a picture with a 5248 х 3936 pixel resolution. The Z2 camera is powered by Exmor RS for mobile image sensor, which provides crisp images. It also has a 2.2 MP 1080p front facing camera. The Sony Xperia Z2 has another advantage over the iPhone 6. The Xperia Z2 is dust and water resistant. It has an IP58 rating, which meant that it can be submerged into 3.3 feet of water for up to 30 minutes. It can also withstand fairly powerful water jets. It also comes with a Stamina mode that shuts down all unnecessary background apps and preserves battery usage.